The purpose of this tutorial is to teach you how to create your first blank plugin that can be loaded in your Spigot server. 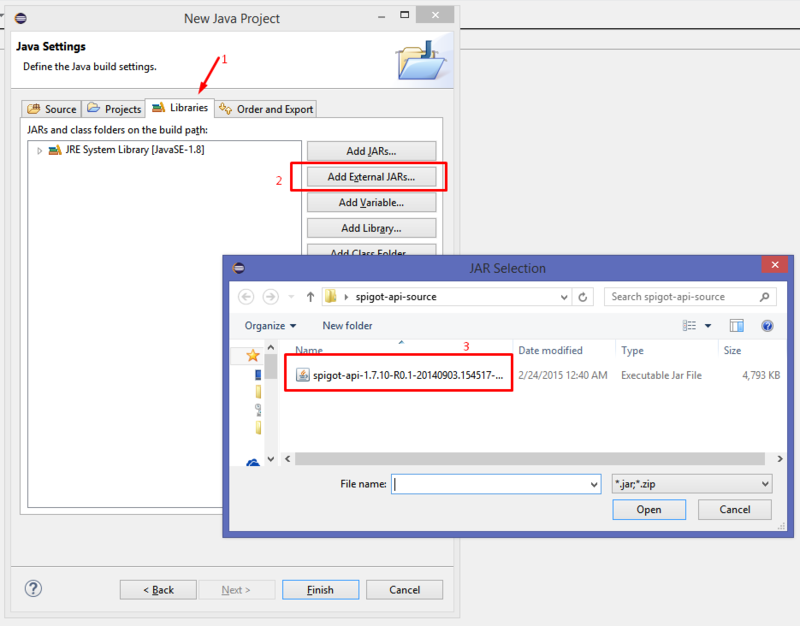 This tutorial will also show you one possible development workflow of setting up the workspace to exporting a JAR file. 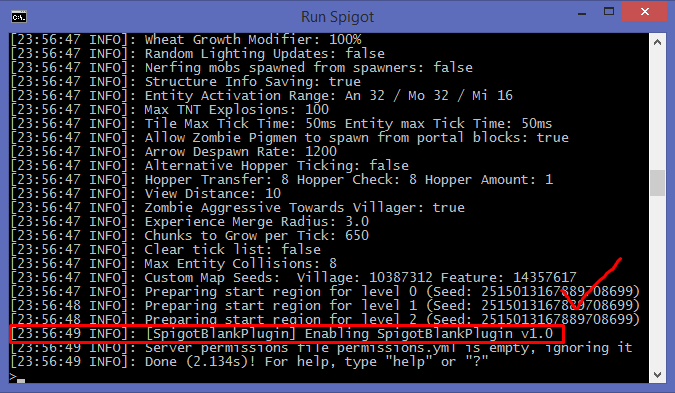 It assumes that you have the Spigot-API jar file (obtainable with BuildTools or on The Nexus) which we will use. 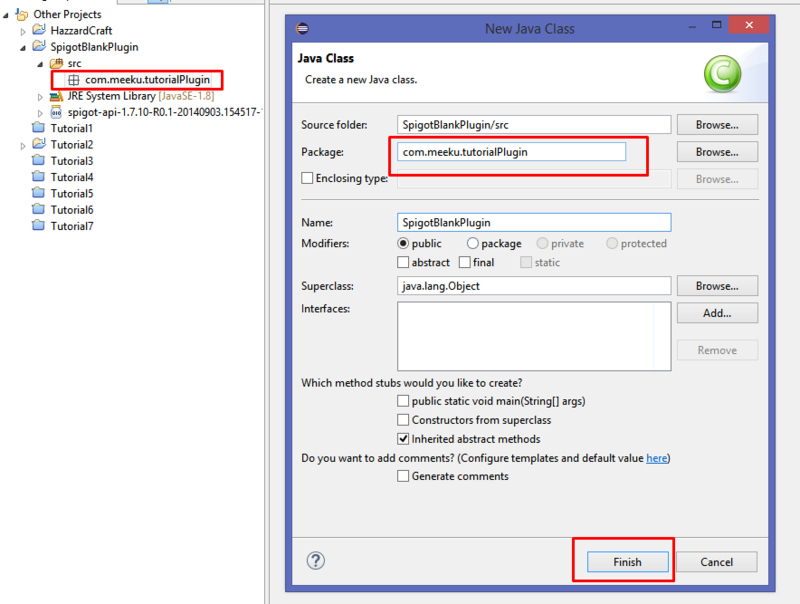 1) Start Eclipse; you may change the workspace location if desired. 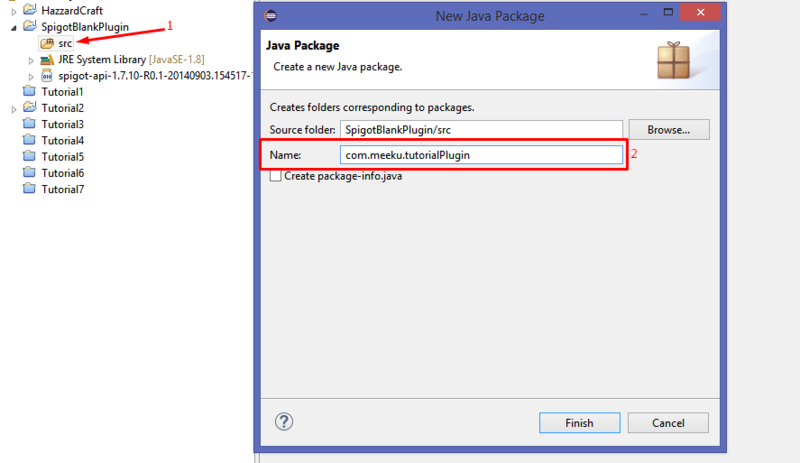 The JavaPlugin class has some abstract methods which must be implemented by your plugin. Hence, add the onEnable and onDisable functions which will be triggered when the plugin is disabled or enabled in the console. You can leave these blank for now. You are also required to write @Override above the method. Note: You do not need to add a getLogger when your plugin is enabled or disabled, Bukkit already does that for you. Since there are no errors, we can export this project as a JAR. Right-click on the project name, select Export. In the consequential dialogue box, select JAR file (Help Image). Click Next. 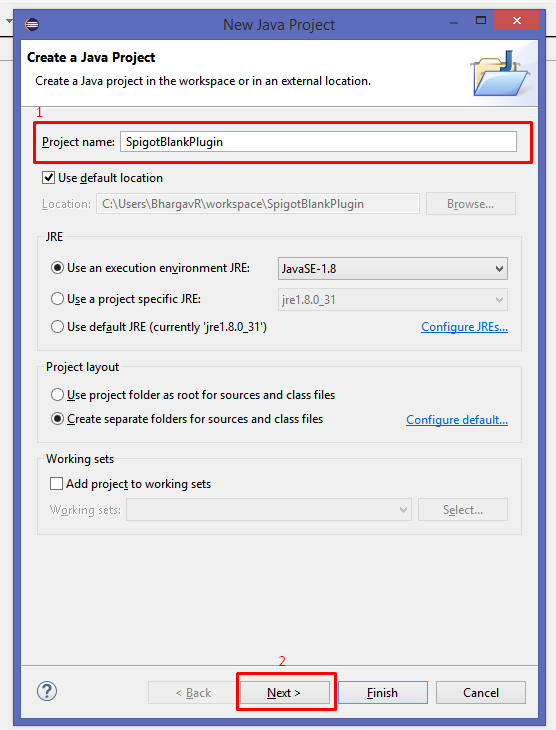 Change the export destination to your plugins folder.